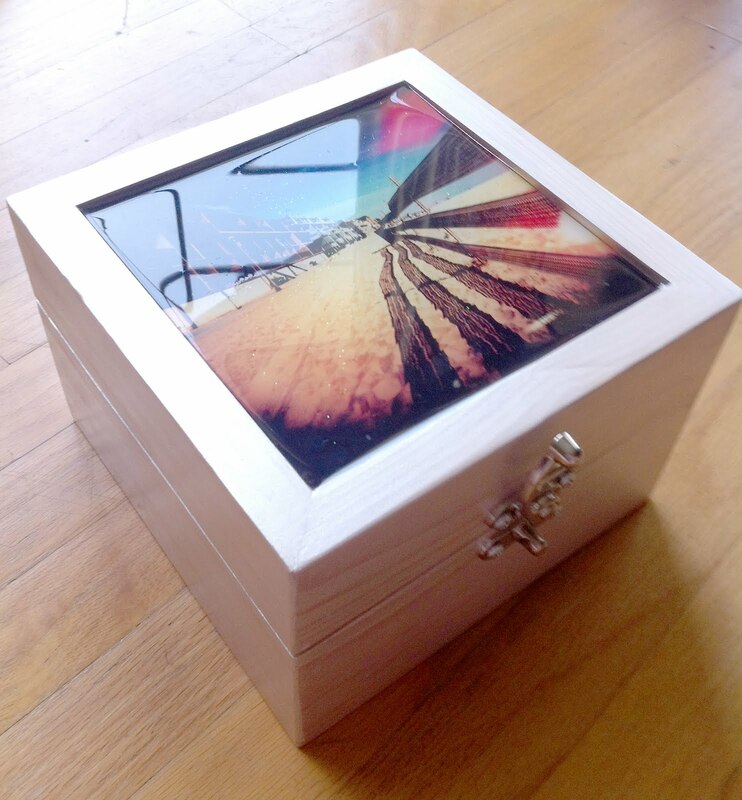 Jewelry Box - Traditional Fine Art Photograph by Kajsa Blix - Original, "Symmetry - Venice Beach, CA"
This 7.5" x 7.5" jewelry box has been hand crafted for you from raw materials. It was finger painted by the artist with three coats of a special water based metallic paint, a clear top coat was applied for ensure durability while still allowing the natural wood grain to show. This image of the Venice Beach horizon was exposed with film in a specific manner to create this magical image. A photographic print was made, inserted and sealed into the box with a touch of glitter for a sweet touch of sparkle. Foam was then inserted into the inside of the box to cushion the real leather lining that was then hand cut and added. An elegant latch was then added to finish this fine creation. View my website by clicking here.